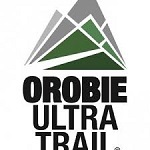 Published by Mountainblog on 04/11/2019 . 1,110 km on an off-road, 2 countries, 7 days of approach, 2 days of trekking with yaks to reach the summit of the Everest, the highest mountain in the world: this is the challenge that Eco Ski team Adventure 2019 will face over 6 weeks, starting date in April 2019. To support technically this exceptional feat will be there Rewoolution, a sustainable activewear brand Made in Italy, the official expedition partner indeed. The Stars Jean-Marie Rossi and Daniele Turani headed by Edmond Joyeusaz: the company’s goal is to climb the northern spur of the Everest from the Rongbuk glacier and descend from the summit on skis, through the Hornbein Couloir, the absolute first time that such a mission has ever been done in the mountaineering and alpine skiing history. To crown the exceptional goal of the company, is the strong feeling for sustainability and environment respect. The commitment grows from the awareness of a worrying situation. The overcrowding of “tourist” expeditions on the Everest is in fact translating into a harmful problem for the waste digestion. The Eco Everest Expedition has been working on the mountain for years on the Nepalese side to carry out the waste removal: only in 2018 have been collected 4,803 kilograms, which contributed to the total of 12 tons of waste, removed and disposed from 2008 until today, and more than 300 kilos of them are waste left by the passage of man. 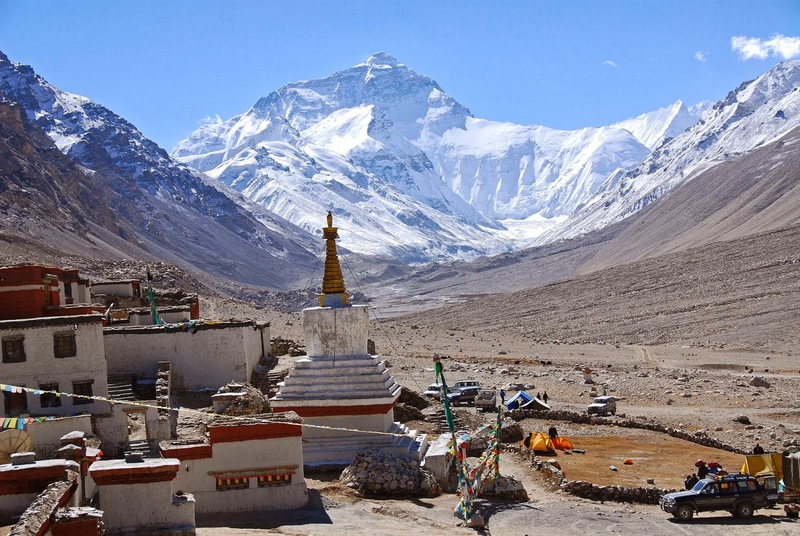 To give a concrete contribution to this important activity, the Eco Ski Adventure 2019 team, reached the end of expedition will remove all the fixed ropes on the ascent route, while the climbers, on the way back to the valley, will go back to the Base Camp of the normal Tibetan way to clean up the tide of abandoned materials left by all the previous climbing attempts. Rewoolution, a natural and sustainable outdoor brand, is official partner of the expedition and has chosen to support the project providing Edmond Joyeusaz and his team with some outfits for the whole mission. 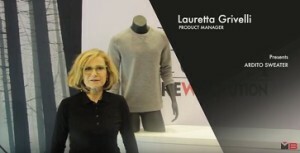 The protagonist of this adventure, in addition to the rest of the indispensable technical equipment, will wear the garments of the Italian brand, made of ethical Merino wool and renowned for their exceptional characteristics and performance, guaranteed by innovative processing technologies. Furthermore, on the website www.rewoolution.it it will be possible to follow the progress of the incredible trip in all its stages. Rewoolution, just like the Eco Ski Adventure team, is sensitive to environmental issues and, in the same way, continues to operate not only looking at its goals but above all, at the “cleanest” way to get there. The philosophy that guides the brand can be summarized in “Naturally Beautiful”: a strain and constant research to exalt nature in all its beauty. Rewoolution garments are born from noble raw materials: they are made of ethical Merino wool from ZQ certified farms. Extremely light and soft, fabrics are produced through sustainable management of environmental, economic and social resources, tracing the entire production path and safeguarding the well-being of people and animals. Edmond Joyeusaz, team leader, lives at the foot of Mont Blanc. 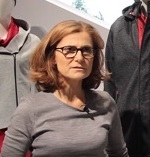 Alpine Guide, Federal Alpine Ski Teacher and Trainer, former Italian Ski Team, winner of the Coppa Italia in 1984, for years among the best Italian skiers. Alpine Ski World Champion Champion in 1999, since 1992 he is the protagonist and organizer of mountaineering expeditions in the Himalaya and Karakorum. From the Shisha Pangma he made the first absolute descent with skis from the summit. He was also the first to ski on the slopes of K2. In Europe in recent years he completed four “first” absolute descents: the Dames Anglaises in the Mont Blanc massif, the SW face of the Grand Combin, the La Dame Blanche, the integral of the south wall of the Weisshorn and the integral of the Cerino in 2018. Jean-Marie Rossi is the team’s eyes and the voice, lives in the Aosta Valley and was in his youth one of the best skiers of his generation. Ski instructor and paraglider, he is a sportsman who has attended the European academies of Gorizia and Oxford. For years president of the United Nations youth movement in Italy. He makes photography and filming, his passion and sometimes a job as well. Daniele Turani is in charge of the ECO action of the expedition, lives in Milan. He fell in love with alpine skiing at the age of five years old. In his youth he served in the Taurinense Alpine Brigade, in the Command and Tactical Supports department. An excellent mountaineer, he collects 4,000 meters of mountains in all the Alps. During his stay at KTM he will organize a humanitarian activity for orphan children due to the earthquake in Nepal on April 25, 2015. Reda selects its Merino wool from its own sheep farms in New Zealand. 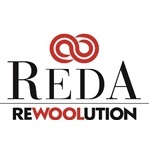 Traceability is guaranteed from the start and according to this Reda Rewoolution follows the evolution of its wools right from their origins and manages the production chain in every stage of creation. Furthermore, with Reda’s voluntary certification of its textiles, the final consumers have the opportunity to know everything about the provenance of the garments they wear. Total transparency becomes the symbol of a 360° experience, entirely Made in Italy. Since 1865 we have been practicing the art of transforming wool into an excellent item of apparel. 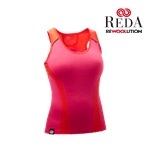 With Reda Rewoolution we have gone further: creating a textile for lovers of the outdoor and the active life in 100% Merino wool with characteristics of breathability, drying power and comfort not obtained by anyone else. The result is a collection born from the meeting between the great Italian textile tradition and the most innovative production technology. A natural, high-performance collection that radically changes the classic concept of wool.